Henrik Mohn (1835 - 1916) was the founder of Norwegian meteorological research, and served as the director general of the Norwegian Meteorological Institute from its inception in 1866 to 1913. This text is based on an entry in "Norsk biografisk leksikon" authored by Øyvind Grøn. We are grateful to the author for granting us permission to use his text here! Henrik Mohn grew up in Bergen, and after graduating from Bergen katedralskole in 1852, he began his studies in theology in Christiania (at Det Kongelige Frederiks Universitet - since 1939 the University of Oslo). Having followed lectures in physics, he made a switch to natural sciences, focusing in particular on physics, astronomy and mineralogy. While still a student he built his own telescope in order to study sun spots, the rings of Jupiter, and the Moon. After graduating in 1858, Mohn held the position of editor of "Polyteknisk Tidsskrift" (a journal published by the Polytechnic Society) from 1859 to 1862. In 1860, Henrik Mohn was awarded the King's Gold Medal for his thesis on the relative position of comets' orbits. The same year, he received a Research Fellowship in astronomy, and in 1861 he was appointed Chief Observer at the astronomical observatory of the university in Oslo, and was tasked with continuing the meteorological observation series initially started by Christopher Hansteen in 1837. This was Mohn's formal entry into the field of meteorology - an interest he would pursue for the rest of his life. In 1863 Mohn published an article in Polyteknisk Tidsskrift; "Stormene i Christiania fra 1837 til 1863" ["The storms in Christianias from 1837 to 1863]. The following year Mohn published a thesis on the cloud cover in Christiania, and its periodic change. During the autumn of 1865 he gave a series of presentations in Polyteknisk Forening on modern meteorology and the prediction of weather - presentations that were instrumental in bringing about the establishing of the Norwegian Meteorological Institute in July 1866. 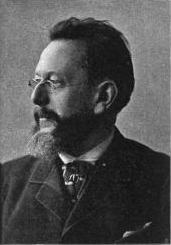 Concurrent with the establishing of the Institute, Mohn was appointed professor, and its first director. In 1870 the Norwegian Meteorological Institute published a Storm Atlas, and in 1872 a publication on "Weather and Winds - The Main Findings of Meteorology". This book, which gave the first ever representation of meteorology based on weather charts with observations drawn in, was translated from Norwegian to a number of languages. Mohn's arguably most significant contribution to the field of meteorology was his attempt - together with mathematician Cato M. Guldberg - to explain meteorological phenomena using the laws of physics. From 1876 to 1880 Mohn compiled his most important work, Études sur les mouvements de l'atmosphère, where meteorology was treated as a quantitative discipline, based on equations of hydrodynamics and thermodynamics. Based on observations from a series of expeditions in the Arctic Ocean, Mohn in 1887 published Nordhavets Dybder, Temperatur og Strømninger [The Depth, Temperature and Oceanic Currents of the Northern Seas.]. Again, laws and equations from the field of hydrodynamics were applied to explain the observations, and the results derived at by Mohn has formed the foundation for a number of later works in the field of meteorology. Mohn was a great proponent of international collaboration, and played an important role in the International Meteorological Organization (superseded by the World Meteorological Organization). He served on a number of organization's commissions, and was a member of its board from 1873 to 1910. Mohn was awarded honorary doctorates at a number of universities, and honorary member of 18 scientific societies. His name is linked to 70 locations in the Arctic, he was a member of the Royal Norwegian Society of Sciences and Letters from 1870, and was awarded the Order of St. Olav (Knight, 1st Class in 1890; Commander 1895; Commander with star 1915).